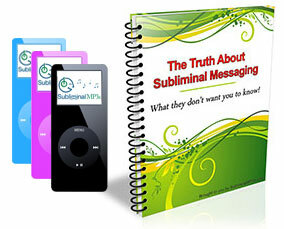 Stop your self pity and change your life today with these revolutionary subliminal messages. Imagine how your life could would if you could free yourself from self pity - if these negative thoughts were not a part of your life and you were able to get on with things and make the most of your life. Imagine how it would feel inside to be motivated again, passionate about life and proactive! This isn't impossible, you really can change! Are you sick of feeling this self pity? Are ready to let go of it and move on with your life? Are you serious about wanting to change the way you think and feel? Are you willing to take positive action and do everything you can to change? Are you one of the few who will actually follow through and make a commitment to change? This album isn't an instant miracle solution to your problems, but if you are really serious about changing it will help support you and rewire your mind from the inside out to stop your self pity naturally and re-focus your mind. Make you see yourself differently and feel differently about your life and your circumstances. You will see your limitations and circumstances in a more positive light - as learning experiences, as challenges to overcome and rise up against. You will feel more motivated than ever and have a real desire to overcome your problems - today's self pity will become the spark of your future success! You will believe in yourself on a core level - believe that you can and will change and that you are capable of achieving better things. You will stop hesitating and procrastinating - you will start taking real physical action in your life to change it for the better. When you first start using the album you will probably notice feelings of positivity, a general desire to change, and begin to see the possibility that you can change and that life can be better for you. As you continue to listen you will start to take real responsibility for your life, take real positive action to change yourself and focus on the things you can do and what you can do to make your life better. Download this album now and you can be listening within minutes - stopping your self pity before it gets out of control and holds you back in life even more.